The web site that published “‘Mentally Diseased'” and Political Correctness” is called Sheep and Goats. It appears to be written by one of Jehovah’s Witnesses. It’s meant to defend the Watchtower Society against critics who dislike the organization’s recent use of the term “mentally diseased” when describing those it deems to be apostates. Here are my reactions…and rebuttals…to the article. I will incorporate points I already made in my last article while I’m at it. When I say “Watchtower-like,” I mean to say that Jehovah’s Witnesses are portrayed as peace loving, even to the point of abstaining from politics2 so as not to impose their will on others, while the rest of us are described as being kinda gun happy and evil. Tom probably did this half-unconsciously, as most Witnesses have heard this kind of hyperbole from the Society so many times that it’s hard for them to even notice it anymore. If asked, I’m sure Tom would tell us that he didn’t mean it that way. Okay. Nonetheless, that’s how the article begins. Then we get to the real meat of the issue. Note that the boldface is mine, not the original author’s. 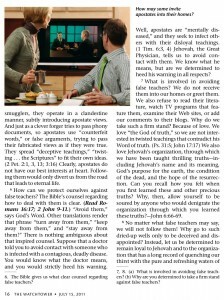 Has the Watchtower run afoul of that stricture [against political correctness] recently? 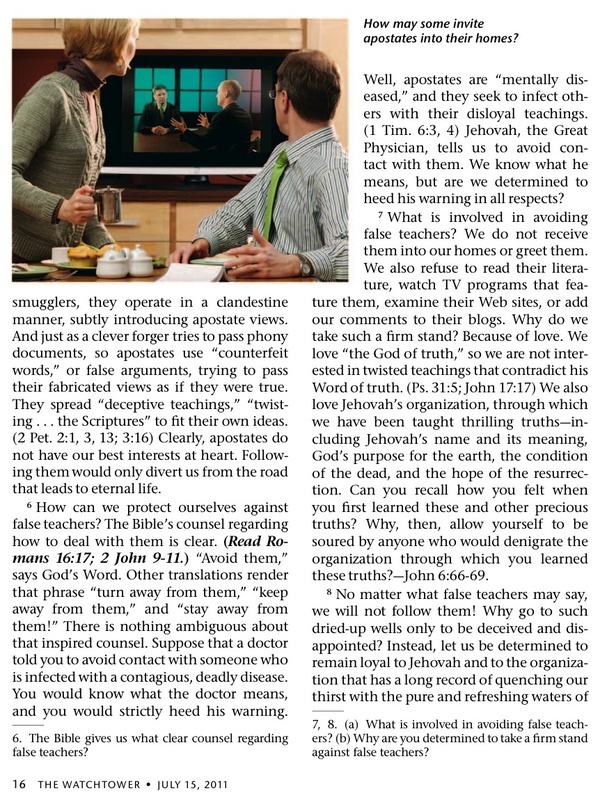 In its July 15, 2011 issue, for consideration in JW congregations, the magazine recommended (strongly) avoiding “apostates,” even calling them “mentally diseased.” You should have heard the howling from those who don’t like Witnesses, grousers who immediately broadened application of those words to include all who left the faith, something the article never suggested! Government ought to investigate such “hate speech,” they insisted. To me, this clearly suggests that anyone who leaves the faith is an apostate. What else could it mean? At the very least, it’s perfectly understandable why someone would interpret the Society’s comments about apostates as being directed at all former Witnesses and not just the “psycho ex-mates that can’t let go,” as Tom calls them.3 But there are good reasons to think that this goes a little deeper than a single erroneous statement made by the Watchtower Society’s writing department. Before we go any further, I would like Tom and other Witnesses to understand that, to an ex-Witness, it doesn’t really matter if we’re officially deemed apostates who must be shunned to straighten us out or if we’re simply viewed as bad associates who merely should be shunned for the good of their own spirituality. In either case, we’re looked down upon and treated like unstable dynamite. So even if the Society is withholding the apostate label from some of us, it’s not like they’re doing us any big favors. The difference, I fear, is minor at best. A person who has renounced a religion or faith. The renunciation of a belief or set of beliefs. Specifically, the renunciation of one’s religion or faith. I think that Tom may have forgotten what the word “apostate” means. The Society certainly has not. Consider this quote from the Society’s Insight books. But here’s the thing. The Society considers meeting attendance and door to door Witnessing to be paramount features of their faith. So I think many exxers would interpret this as I do. Ex-Witnesses who no longer believe in the “the truth” have clearly “abandoned” the faith and “left the path of righteousness” as the organization’s leaders see it. That includes me, by the way. Yet even those who still believe in the Society’s “truth” but who fail to live up to the it’s expectations have “abandoned” “the path of righteousness” as well, have they not? Hence, regardless of our reasons or our rationale, both groups of former Witnesses can surely be considered “apostates.” Perhaps it’s fair to say that the Society acknowledges a difference of degrees here. But nothing more. If the Society wanted it’s followers to have a different take on apostasy, they surely would have written about it by now. Surely they could write something explicit, like, “Those who still believe we teach the truth or who are happy to just get on with their lives are not viewed as apostates.” But they haven’t to my knowledge. And as I already mentioned, those who leave because they can’t handle the burdens the Society lays upon them aren’t exactly seen as good association. Being downgraded from apostate to bad associate isn’t doing us any big favors. 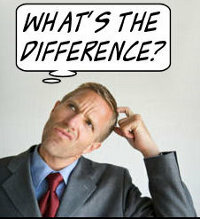 Many ex-Witnesses have families who shun them either way. And they still seem to qualify as apostates for having “abandoned” “the path of righteousness” despite believing in “the truth.” Do they not? In any case, I’m not sure that being seen as merely screwed up and weak is much better than being seen as mentally diseased. So you tell me. What’s an apostate according to the Watchtower Society? Even if those who continue to believe it has “the truth” aren’t seen as apostates, I’m not sure how large a segment of the ex-Witness community they truly represent. Surely those who stay away from “the path of righteousness” for many years will eventually lose all faith in the Society’s teachings? It seems like we’re just splitting hairs at this point. In the end, we’re all seen as bad news whether we’re labeled as apostates or not. I honestly think that Tom might be like a lot of Witnesses who see the Society for what they want it to be and not for what it actually is. I mean no offense against Tom personally, but I often encounter Witnesses online who seem to ignore the harsher points made in the very literature they read on a daily basis. Some insist that shunning disfellowshipped members is merely optional, for instance, when the Society has told us repeatedly over the years that it’s mandatory. I should point out that the Society often contradicts itself and even makes its points in a way that can seem deliberately vague at times, so it’s not hard to understand why some people might be confused on certain issues. With regard to terms like “apostate,” the organization has a way of branding people on so many levels that it’s easy to lose their exact sense at times. It’s especially easy to forget the labels you don’t like while clinging to the ones you do. I believe this is a good example of cognitive dissonance at work, something that everybody has to deal with in their lives. Let us not forget that even skeptical atheists like myself are not immune. Now there’s one more thing worth talking about in Tom’s article. I think “mentally diseased” was in quotation because, as Tom noted himself, it was being quoted from the New World Translation of the Bible. Why should this make a difference? I’m not sure that the term “mentally diseased” actually qualifies as an official “medical diagnosis” in any field of medicine, either. Was that really what anyone out there was thinking? I doubt it. No matter the context or the author’s intent, being called “mentally diseased” is pretty insulting. Does anyone truly care if the label is being quoted from the Society’s own Bible translation 5 or not? If I quoted another apostate who called the Witnesses insulting names to help me make my points, would Witnesses let me off the hook because the original words weren’t mine? So long as I was using those words to express a sentiment my article agreed with, I doubt it. Of course, I already acknowledged that the Society might not have intended the phrase “mentally diseased” as a personal attack when I wrote my previous article. I said this because I was trying to be fair to the organization. But even if they didn’t mean it as an insult, I’m not sure it’s much of a plus. By letting such an obvious insult against apostates through its filters (both the writing department and members of the governing body had to approve the Watchtower’s original article before it went to publication) the Society might as well admit that such insults against us are so routine that they don’t even notice them as offensive anymore. I don’t think you’re helping your cause with that one, Tom. Besides, it remains just as offensive whether offense was intended or not. For those who might be interested, I found another interesting article on the “mentally diseased” subject here that’s worth checking out. It includes some reasonable suggestions for the Society’s writing department. It also handles things from a more religious point of view than I, an atheist, ever would. Here’s yet another one that’s good, too. To all my readers, please leave me your comments. Even the bad ones. I won’t censor them the way Sheep and Goats does. If I’m wrong on this one, please explain how and why. I’ll even post a retraction with full credit to the person who sets me straight. Just remember my policy on handling comments. I give what I get. Be respectful, and I’ll try to return the favor. I honestly appreciate heartfelt, respectful criticisms. The other kinds…not so much. Tagged evangelism, Ex-Witnesses, Jehovah's Witnesses, literature, mentally diseased, Watchtower, Watchtower Society, XJW. Bookmark the permalink. Good points,Isaac. As for Tom I think he wants to defend his beloved organization against what he feels are unjust accusations. I think you’re right, Spiritualbrother. I just think that the truth lies somewhere in between. I just noticed that all my posts have suddenly gone all italicized on me. Sorry everybody, I don’t know what causing it yet. Here’s the wonderful letter, written by Barbara Anderson, who intelligently addresses the slanted and horrid attitude of the Society.